Welcome to the PTFA section of our website. 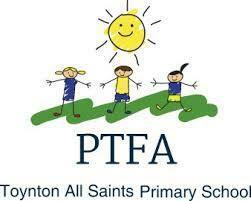 Toynton All Saints Primary School’s PTFA (Parent, Teachers and Friends Association) is a group of people who help to organise events for the school and the wider community through fundraising and organising social events. The aim is to raise funds for the children of the school to help enrich their learning and to offer them a wider range of opportunities. Over the years, the generosity of all those associated with Toynton All Saints Primary School has enabled the PTFA to hold fantastic events and to raise large amounts of money. The Christmas Fayre in 2018 was an enormous success, raising the most amount of funding ever to date! We also hold several raffles throughout the year for: Valentine’s Day, Mother’s Day and Father’s Day. Thanks to the hard work of our PTFA, we have supported School in funding projects such as: the purchase of the outdoor play equipment in 2013; and funding “WOW” Days (most recently, Felicity Aston M.B.E. Polar Explorer visited school in January) which enrich the children's first hand learning experiences and inspires them to want to be famous explorers and sportspeople. Information on PTFA activities is available on this website and we also send out regular bulletins in the School Newsletter. If you wish to get in contact, please do so via the School Office and they can put you in touch with us. Thank you for reading our page - we look forward to seeing you at our next event!